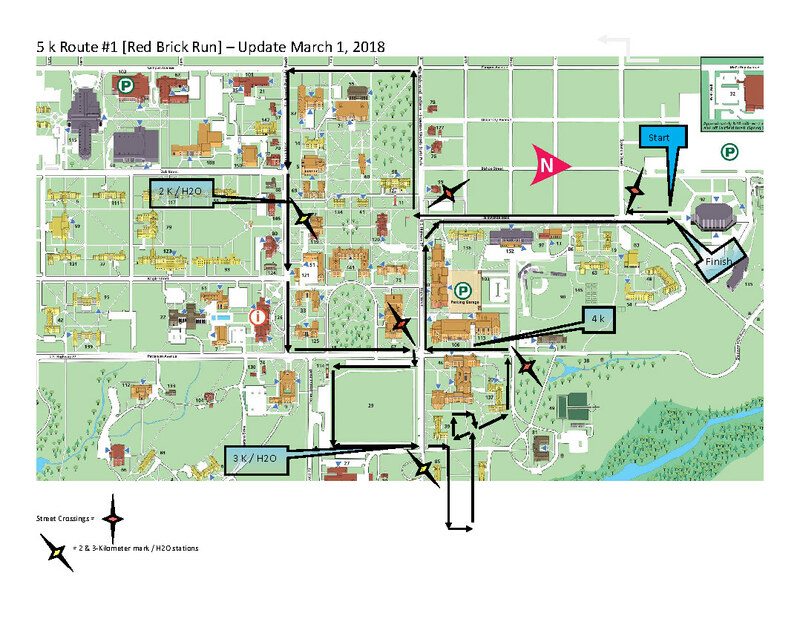 Run with Friends of Amber Volk follows the Red Brick Run route. This run/walk begins at Millett Assembly Hall. Participants will start by heading south on Talawanda Road. There will be a street crossing near the start, across Sycamore Street. The route continues south until you reach High Street, where you will cross the road and proceed west towards Campus Avenue (away from Benton and Farmers School of Business). The route continues until Campus Avenue where you will turn left/south onto Campus Avenue towards Spring Street. Once you reach Spring Street, you will turn left/east onto it (towards Armstrong Student Center) and continue until S Patterson Ave.
Cross over S Patterson Ave onto Cook Field once you reach Farmer's School of Business. Head east along the north side of Cook Field, then turn right and head south along the east side of Cook Field. When you reach the end of that side, double back towards East Quad & Dorsey, cross the street and head west towards Farmer's School of Business. The West Wall of Dorsey is the 2-mile mark! After you pass Farmer's School of Business, cross S Patterson Ave onto High Street. Continue west until you come to Talawanda Road, turn right/north and head straight until you return to Millet Assembly Hall.